Subaru Canada said on Friday that limited-edition models of the WRX STI and BRZ will be available in Canada in early 2018. The announcement came about 10 days after the automaker detailed U.S. specifications of the two models. 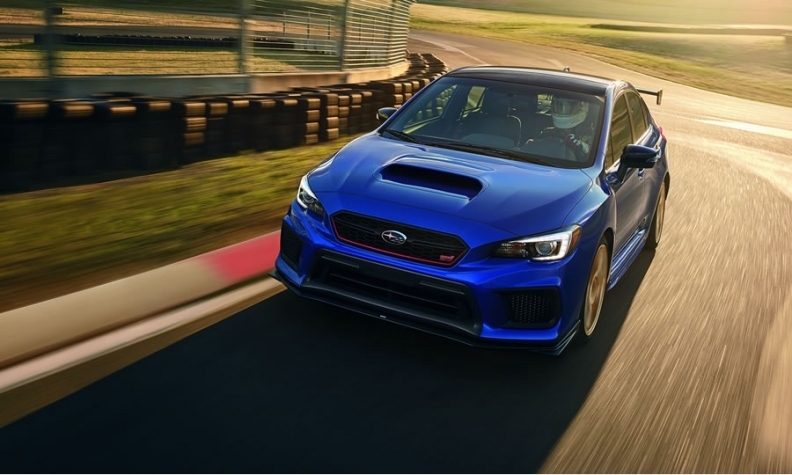 The 2018 Subaru WRX STI Type RA builds on the WRX STI’s 2.5-liter turbocharged boxer engine by adding a cold-air intake and high-flow performance exhaust, improving horsepower to an estimated 310. Weight reduction, additional horsepower and revised gearing all contribute to faster acceleration, the automaker said in a release. Each limited-edition model comes standard with a carbon-fibre roof panel, the removal of the spare tire, a carbon-fibre pedestal wing and lightweight BBS 19-inch forged alloy wheels in gold, and sports tires. The Type RA also has Recaro performance-design front seats and push-button start with keyless access is also standard equipment. Each of the WRX STI Type RA models has been individually numbered with a plaque mounted on the centre console. The RA designation stands for "Record Attempt" and has been applied to various Subaru performance models. It’s homage to a 1989 competition version Subaru Legacy that broke the FIA World Speed Endurance Record by clocking over 62,000 miles in 18 days and set a top speed record of 138 mph. Subaru's 2018 BRZ tS, with tuning by the company’s Subaru Tecnica International engineering division, features STI-branded performance equipment including a rear carbon-fibre spoiler, and front, rear and side underspoilers. It rides on 18-inch wheels, a first for a BRZ. An exclusive STI rear carbon fibre spoiler is manually adjustable to fine-tune rear downforce.